Bonus points for the Administration's then analogy between the Georgians and the Palestinians regarding how to resolve occupied territory! A point of agreement even among those who disagree about the relevance and scope of Vladimir Putin's interference in the US presidential campaign is that a perception of recurring US interventions in elections in Russia's near-abroad provided him with a motive. Particularly Ukraine. In fact it's surprising, given how much effort the New Pundits devoted to linking Trump to Putin via Ukraine, that the topic has simply been dropped in the election post-mortems; once Paul Manafort left the Trump campaign organization, they lost interest. Anyway, Putin's motive would be clear: he blamed the US for derailing the political situation in 2013-14, events culminating in the Maidan protests, the flight of Viktor Yanukovych from power, and the annexation of the Crimean Peninsula. So there's an alternative history. Barroso does a deal with Putin in 2013 on the EU-Ukraine Association Agreement; Russia thus allows it to go through; no Maidan protests, no fall of Yanukovych, no Russia seething that the US had interfered in its neighbourhood -- and Russia/Ukraine is simply a non-issue in the US campaign. This of course means that Barroso is the true agent of global chaos today, that man always in the vicinity of the origin of a crisis, but never directly implicated. Seemingly unrelated final observation: he now works for Goldman Sachs. 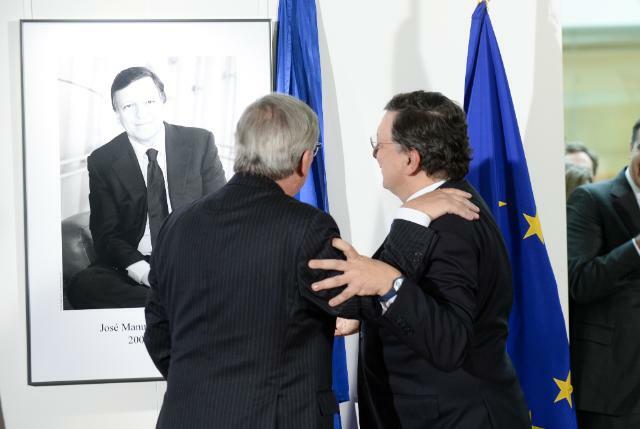 Photo, via EU Commission: Jose Manuel Barroso and Jean-Claude Juncker admire a portrait of, er, Jose Manuel Barroso. The Kremlin's Christmas and New Year's list of greetings includes further conciliatory language to Donald Trump. But besides listing numerous leaders who also received greetings, even Abkhazia and South Ossetia (republics that are products of Russia's frozen wars), it doesn't mention Barack Obama at all, although both George Bushes got greetings. Notable too on the list of former leaders receiving greetings: Francois Fillon, likely the next President of France. The Shaw Bijou's opening was met with a collective side-eye from Washingtonians who balked at chef Kwame Onwuachi's prices — as much as $1,000 per couple for a multicourse dinner with wine pairings. It was especially galling, some thought, in light of the chef's resume. Though Onwuachi is a “Top Chef” and Eleven Madison Park alum, the Shaw Bijou is his first restaurant. Not knowing your market can be a beginner's mistake, and now Onwuachi is owning up to it. He announced Thursday that he plans to change his menu — formerly $185 for 13 to 15 courses and an additional $185 for the suggested wine pairing — to a seven-course, $95 meal beginning Jan. 3. The meal includes an opening cocktail, but other beverages will be priced separately. The new wine pairing price hasn't been determined yet. That's Jerusalem Mayor Teddy Kollek discussing the low profile of the new District Town Planning Committee's rehabilitation plan for East Jerusalem -- as quoted in the New York Times dated 22 August, 1970. Probably the strangest aspect of the Israeli government and US conservative media counteroffensive against John Kerry's speech yesterday is its reliance on the Egyptian Deep State. This trend actually well precedes the UN vote, with Trump having played up his relationship with Egyptian President Abdelfattah al-Sisi for a while, using it to obtain an ostensible postponement of the UN vote. Then there's the apparent Bibi endorsement of the first "leak" of the alleged "evidence" the US had orchestrated the UN vote -- the leak being to an Egyptian newspaper and thus likely sourced from Egyptian security services. You'd think the one things that conservatives might have learned from years of frustration in the Middle East is the risk of getting pulled into the machinations of authoritarian regimes, but that's where they are now with al-Sisi. Analysts who have spent a lot more time than they have looking at al-Sisi's incentives see an attempt to place Mohammad Dahlan in prime position as the next leader of Fatah (and thus de facto President of Palestine). Good luck to anyone trying to keep their hands clean in that rivalry. 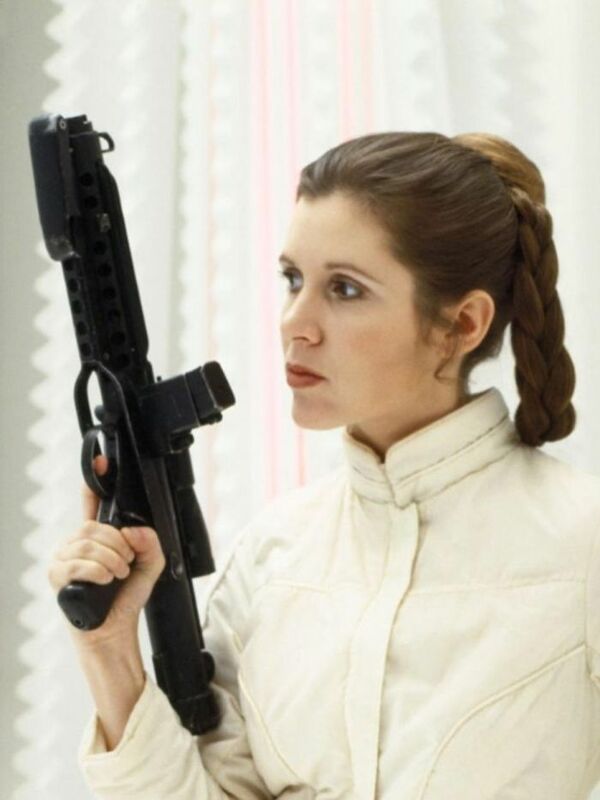 Different people have their different favourite vintages of Princess Leia, but for us the style quotient was always highest in The Empire Strikes Back (left). Part of the reaction to the deaths this week, and this year, has been people of a certain age (including us!) realizing that we're old. Yes, George Michael and Carrie Fisher died far too young, but they came into our consciousness what is now a long time ago. The Empire Strikes Back (whose first seeing by this blogger at a cinema in Berkshire is still vividly remembered) came out in 1980. Take a look at this partial list of Top of the Pops performances in 1980. If you're of that vintage of ToTP watcher, the list probably includes some characters and preferences that you haven't thought about in a while. It gained quick circulation as a version of what happened in the final minutes of the Berlin truck rampage: the original driver of the hijacked truck, Lukasz Urban, was still in the cab and struggled with Anis Amri to the last, saving more lives. There's just one problem: it's virtually impossible that this happened. German investigators have determined that Urban was shot in the head hours before the rampage and had already suffered massive blood loss by the time it occurred; even if he was still alive, there was no way he was struggling with Amri. Now, this isn't an example of fake news -- a widely abused term that used to mean manufacturing viral-potential information that is known to to be false. But it is an example of news that people wanted to be true despite what one or two skeptical questions might have told them. Hence, comfort news. We can and should minimize the possible damage radical Islam poses to us and others, support the international efforts to strengthen Jordan and support the Kurds' aspirations for independence. Jordan is a stable, moderate country with a strong military that can defend itself, and the international efforts to support it are appropriate. So too is the support for the Kurds, who are a fighting people that has shown political commitment and moderation and deserves political independence. That's Bibi calling for the breakup of a UN member state, Iraq, and a state that, whatever its current flaws, posed no threat to Israel, with Saddam -- the dictator who catapulted Bibi to stardom in 1991 -- long gone. An independent Kurdish state in northern Iraq is also contrary to stated US policy. All things to remember in the current conservative hysteria about the US formulating its own positions at the UN Security Council. Note: the News of the World reporter, Neville Thurlbeck, who wrote the Hampstead Heath story about George is now a media analyst for the Putinist Russia Today. Good riddance 2016. Israel knew even before the Egyptian draft resolution that the White House was planning an "ambush" and coordinating it with the Palestinians, said another Israeli official, who requested anonymity to discuss internal diplomatic conversations. Israeli diplomats believe they were misled by the U.S. during a meeting last week between high-ranking Israeli and Obama administration officials in which the U.S. side offered reassurances about its efforts to support Israel but declined to explicitly state that the U.S. would veto such a resolution if it came up. The Israelis told their counterparts that "friends don't take friends to the Security Council," the official said. So what was on Friday a juicy anonymous zinger-style quote has on Sunday been revealed as coming from Netanyahu himself. One would hope that reporters would connect the changing sourcing and ponder whether the original anonymous sourcing was abused to magnify the faux-outrage of Friday's reaction. And note again that Netanyahu's antics are detached not just from his actual behavior on Thursday and Friday (he phoned Putin but not Obama) but also from any evidence that the US changed its policy stance on the settlements. Is he simply gambling (like the Iranians) that he can say whatever he wants on Christmas Day and no one will notice? The US Geological Survey is something that Donald Trump will probably want to abolish. It happens to be one of the few original sources of information about the Christmas Day Chile earthquake. But they are complying with the nuclear deal! This Al Arabiya article helpfully explains that, in reporting the latest speech of Iranian Revolutionary Guards Corps (IRGC) commander Mohammed Ali Jafari, the English language Iranian news agencies did not cover the part of the speech where he says that for Iran, Aleppo is the front line of the Islamic revolution. US National Security Council people -- when you're back in the office on 3rd January, can you make a note to check the original Farsi version of the speech and write it up accordingly -- thanks. That doesn't mean that the plane itself is the problem, but it indicates that the plane plus the conditions -- environmental and human -- are a particularly bad mix. Corriere della Sera reports on what's being portrayed as a strange coincidence: that when Anis Amri met his end in a Milan suburb, he was less than one kilometer away from where the truck that was used for the Berlin rampage had taken on cargo. The United States regards the Israeli announcement of its intention to establish additional settlements as most unwelcome. We cannot understand why, at a time when broader participation in the peace process is both critical and possible, Israel has elected to extend a pattern of activity which erodes the confidence of all, and most particularly the inhabitants of the West Bank and Gaza for a just and fairly negotiated outcome to the peace process. Moreover, such settlement activities can only raise questions about Israel's willingness to abide by the promise of U.N. Resolution 242 that territory will be exchanged for peace. The United States will not alter its stand on settlements. We will persist in our efforts to help Israel understand how damaging its settlements are to the peace we are all trying to achieve and how seriously we take this issue. When you move from a dingy flat to a handsome new house, the move itself is still tedious. Vladimir Putin had a telephone conversation with Prime Minister of Israel Benjamin Netanyahu at the Israeli side's initiative. The two leaders continued to exchange views on the current situation in the Middle East and reaffirmed their readiness to further actively cooperate in the fight against terrorism. So on the eve of what's been presented as a new low in UN-Israel relations, Bibi wasn't on the phone to Washington looking to get anything resolved; instead he was talking to Vladimir Putin, who also has a UN Security Council veto, about general regional issues. If the passage of this resolution was really such a concern for Israel, he could have asked Putin to veto it. The episode looks much more like the typical sound and fury, signifying nothing. Meanwhile Bethlehem will have its one-day spotlight looking very unrepresentative of the daily lives of West Bank residents. They would be better off not taking the names of their earlier statesmen [Reagan] in vain, of course. I’m not so sure who might be turning in their grave right now. It seems to me that Reagan would be happy to see his party’s people winning everywhere, and would welcome the victory of the newly elected President so adept at catching the public mood, and who took precisely this direction and pressed onwards to the very end, even when no one except us believed he could win. (Applause). The outstanding Democrats in American history would probably be turning in their graves though. Roosevelt certainly would be because he was an exceptional statesman in American and world history, who knew how to unite the nation even during the Great Depression’s bleakest years, in the late 1930s, and during World War II. Today’s administration, however, is very clearly dividing the nation. The call for the electors not to vote for either candidate, in this case, not to vote for the President-elect, was quite simply a step towards dividing the nation. Two electors did decide not to vote for Trump, and four for Clinton, and here too they lost. They are losing on all fronts and looking for scapegoats on whom to lay the blame. I think that this is an affront to their own dignity. It is important to know how to lose gracefully. 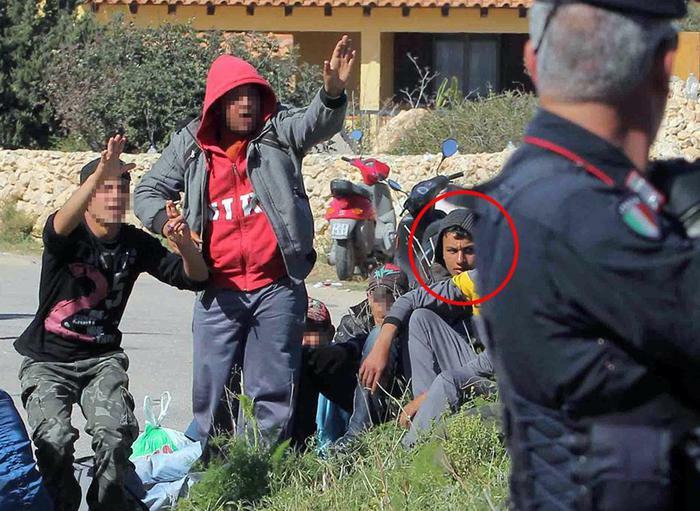 An amazing photograph from Italian news agency ANSA shows wanted Berlin truck rampage suspect Anis Amri sitting with a group of Tunisian asylum seekers in Lampedusa, 3 April 2011. Under Facebook's moderation rules, you can't say "Irish women are stupid" but you can say "Irish teenagers are stupid." Why? Because Facebook's gatekeepers categorize both "Irish" and "women" as a protected category, but not teenager, so the algorithm only captures the first statement. The emerging white nationalist alliance between European neo-Nazis, Russia, and Trump officials needs a name. Hmm: Axis of evil? The agreement, seen by The Wall Street Journal, describes “mutual noninterference in internal affairs” and “equal, reliable, and mutually beneficial partnership” as key principles ... The Russian official who signed the agreement with the Freedom Party, Deputy State Duma Speaker Sergei Zheleznyak, is a target of U.S. and European Union sanctions because of his support for Russia’s annexation of Crimea. “We must work to expand the development of the partnership between our parties and countries, including on questions of international security, the migration crisis, economic and humanitarian development, support for traditional values, and protecting the environment,” Mr. Zheleznyak said. Note the way that the language on a broad range of issues has been co-opted by what is an ultra-nationalist and illiberal alliance. A Christmas tree flattened by a huge black truck -- which also killed 9 people. Everyone is going to rush to fit the assassination into a Syria narrative, but if 2016 has taught us anything, it's that nothing is that simple. Sunday's New York Times reports on the prolific Hillary Clinton-focused fake news outfits run by James Dowson. The article focuses on Dowson's connections to pro-Putin activities but he's better known in Ireland as a provocateur feasting on Unionist "outrage" such as above at "flag" protests in Belfast in 2013 (much more on this career phase from Slugger O'Toole). There's understandably a lot of effort being directed now into what exactly is new about Trumpism. But a critical element is simply old grievances which surfed social media organizing capabilities into new causes. But there are many questions in this respect [Kuril Islands dispute], including regarding economic activity and security. For example, when in 1956 the Soviet Union and Japan were close to resolving this dispute and signed (not only signed, but also ratified) the 1956 Declaration, as we know, and it is an established historical fact, the United States, believing that it has interests in this region, in the person of then-Secretary of State Dulles presented an ultimatum to Japan: if Japan does anything that contradicts the interests of the United States, the US will assume full jurisdiction over Okinawa. I felt responsible when kids were being shot by snipers [in Syria]. I felt responsible when millions of people had been displaced. I feel responsible for murder and slaughter that’s taken place in South Sudan that’s not being reported on partly because there’s not as much social media being generated from there. It's a bit ridiculous for him to be sniping that there's not as much reporting about the dire situation in South Sudan when (a) there's been nothing stopping him talking about South Sudan and (b) his last action on South Sudan was a dead-of-summer waiver for South Sudan from the Child Soldiers Prevention Act, with a new UNICEF report confirming that use of child soldiers remains pervasive in South Sudan. Horse-racing tycoons John Magnier and JP McManus have sold an office and retail building on Place Vendome in Paris to Norway’s oil-rich sovereign wealth fund for €1 billion. The duo bought the Vendome Saint-Honoré property in 2007 for €650 million from Hammerson plc and Axa’s real estate management unit. They subsequently spent a considerable sum refurbishing the building. 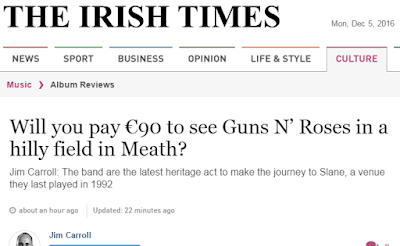 It's as if the Irish property implosion never happened. The breathless reporting of megadeals, the oil money customers, the description of Magnier and McManus line of business as horse-racing, the lack of curiosity about how two individuals with only a stud farm between them (in the Irish mythology) could be dealing in this kind of cash, the blasé references to offshore corporate structures, and the obsession with prestige properties. They flew the tricolour over Place Vendome. The rest of the country went broke. This Administration has made clear that an extension of the Iran Sanctions Act, while unnecessary, is entirely consistent with our commitments in the Joint Comprehensive Plan of Action (JCPOA). Consistent with this longstanding position, the extension of the Iran Sanctions Act is becoming law without the President's signature. Extension of the Iran Sanctions Act, which was in place at the time the JCPOA was negotiated and remains so today, does not affect in any way our ability to fulfil our commitments in the JCPOA. The Administration has, and continues to use, all of the necessary authorities to waive the relevant sanctions, to enforce those that are outside the scope of the JCPOA, and to reimpose sanctions if necessary in the event that Iran should fail to perform its commitments under the JCPOA. To understand the signals being sent to Iran by the above, the Iranian government is supposed to interpret the difference between the President not signing a bill when Congress is in session versus when it is not in session, and further between the sanctions that apply based its nuclear ambitions versus the sanctions that apply to its other activities in the Middle East. And it's that choreography of the President's signature up against the flattening of Aleppo! And sometimes the further we get from the horrors of that, the easier it is to rationalize not making tough choices. And I understand that. This is not convenient. This is not something that I think a lot of folks around the world find an appetizing set of choices. But the question is, do these norms mean something? And if we’re not acting, what does that say? If we’re just issuing another statement of condemnation, or passing resolutions saying “wasn't that terrible,” if people who decry international inaction in Rwanda and say how terrible it is that there are these human rights violations that take place around the world and why aren’t we doing something about it -- and they always look to the United States -- why isn’t the United States doing something about this, the most powerful nation on Earth? Why are you allowing these terrible things to happen? And then, if the international community turns around when we’re saying it’s time to take some responsibility and says, well, hold on a second, we’re not sure -- that erodes our ability to maintain the kind of norms that we're looking at. Bahrain’s embassy in Washington held its annual National Day celebration last week at Mr. Trump’s new luxury hotel there. The hotel has come under scrutiny by American government ethics experts who worry that foreign governments, special interest groups and others will book rooms and events there to curry favor with the president-elect. Manama, Dec. 14 (BNA): His Majesty King Hamad bin Isa Al Khalifa held a telephone call with the US President-elect Donald Trump and congratulated him on the US people's trust in the recent presidential elections, wishing him every success. HM the King underlined deep-rooted historic and strategic relations between the two friendly countries, voicing keenness on further promoting them for the best interest of both countries. He also wished the new US President-elect abundant good health and further progress and prosperity to the American people. On his part, the US President-elect expressed heartfelt respect and appreciation to HM the King, voicing keenness on working together to further bolster the distinguished historic and strategic relations between Bahrain and the USA and lauding growing bilateral cooperation at all levels. Above (via CNN Turk) the crater left by the car bomb outside Besiktas Vodafone stadium in Istanbul last night -- note how the blast went through several layers of the road. Vladimir Putin addresses by video conference a concert held at the historic Palmyra ruins in Syria, May 5 2016, to celebrate the recapture of the city from ISIS. With Russian and Syrian forces now busy flattening eastern Aleppo, ISIS has recaptured Palmyra. ... strongly condemn the Syrian regime's attacks that have devastated civilians and medical facilities and use of barrel bombs and chemical weapons. We’ve eliminated Syria’s declared chemical weapons program. The truth of that sentence hinges on the word "declared" and its substance is undermined by the accurate description of the situation in today's "G6" statement. Incidentally, this Reuters story explains how the Iraqi government assault on Mosul was reworked on Iranian advice to use the same tactics as Aleppo, i.e, a complete cutoff of all escape routes from the city. The US government is supporting the Mosul assault. To say that a US weather "tradition" underpins this trend is a stretch. In fact, it was the clearly untraditional Weather Channel practice of naming winter storms that led to the practice -- the met offices were reacting to would-be Brick Tamlands coming up with their own names for storms in the age of clickbait. As quotes in the WSJ article well reflect, there's a general dubiousness about naming storms when wind is so frequent, but that's the time horizon of the social media beast. As we've documented before, the concession on naming storms has done nothing to stop the continued import of Weather Channel clowning, including the use of their names for storms that the met offices don't name, and screaming into a TV camera in gale force conditions. 1. It looks like an oversight that Donald Trump's seemingly abrupt outreach to Taiwan has not yet been linked to deep Republican lore, specifically the 1950s demands to "Unleash Chiang" so as to open up a reverse takeover of Red China by Taiwan, It was of course a preposterous vision, carried on in mocking fashion in a Bush family in-joke to nearly the present day. But someone in Trump's circle, or maybe Trump himself, doesn't get the joke. 2. For the last few weeks, pundits have been rushing to their keyboards to type up "Merkel is the liberal West's last hope" articles. Sceptics have therefore, rightly, been quick to draw attention to Merkel's promise in her CDU party speech today to ban wearing the burqa during public administrative transactions. Anyway the point is that if Merkel wins next year's election -- which at this point she is likely to do -- it won't be because she fits some New Pundit definition of liberal, but because she knows how to maintain a moderate conservative electoral coalition large enough to give her space to implement moderate conservative policies. Part of how she does this is being tactically astute. It's forgotten now, but Merkel saw the dangers of Davos attendance last January, an insight that still seems lost on the Thought-Leading Ted-Talking fools headed there again this year. Even her burqa ban might be more aimed at detaching herself from the Intellectual-Yet-Idiot choir than any substantive imposition on observant Muslim lifestyle in Germany. Loosely: if a trade agreement with the USA can bring hundreds of thousands onto the streets in protest, but the cruel bombing of Aleppo brings almost no public protest, then something has changed in political standards. That's an effective dig at the very selective nature of "outrage" as the currency of populism, just as Aleppo has been displaced from the news by whatever is the latest Trump tweet. The current political context in Europe calls to mind a missed sign of divergence between the general public and technocrats that occurred with the introduction of the Euro single currency in 1999. There was a widespread public perception that businesses used the conversion from national currencies to the Euro to round up prices, resulting in generally higher prices than prevailed prior to the switchover. 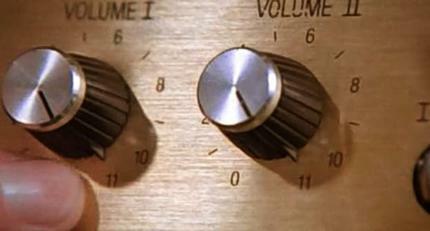 Economists patted simple hoi polloi on the head and told them that they'd made the same mistake as Nigel Tufnel in Spinal Tap, namely confusing numbers ("well it's one louder, isn't it?") with the reality that whether prices went up or down was a purely arithmetic exercise based on the currency conversion factors. Subsequent research found scattered but tantalizing evidence that some prices really did increase but at the same time indicated that perceptions were the dominant influence in whether people thought this happened or not. Yet that sense that the Euro had done strange things to national economies despite what experts said looks like a prophecy of what was to come in 2008 -- and part of the explanation for why credibility has been so difficult to restore. Great Wall Street Journal reporting from northern Iraq about the town of Qaraqosh, a historically Iraqi Christian town much of whose population has fled; after ISIS was cleared out, it's now defended by a local Christian militia commanded by a retired Iraqi Army officer. 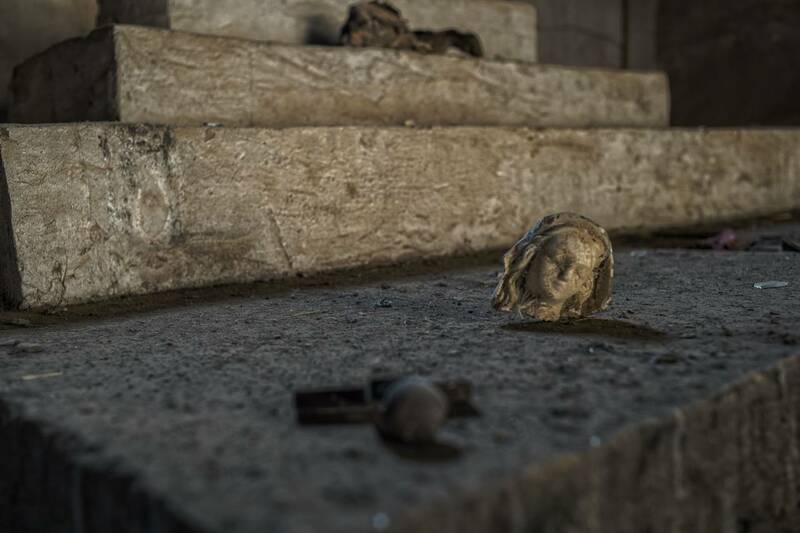 The above is part of the scene of destruction inside the town's Mar Gorgis church. Photo by Juan Carlos for the WSJ. Clare County Council has confirmed that the application for the coastal protection works near Trump International Golf Links and Hotel in Doonbeg, Co Clare, has been withdrawn. The hotel, owned by US President-elect Mr Trump, had proposed building a 2.8km sea wall along a public beach to protect the golf resort. The wall would have been 4.5 metres in height and built from rock. Last night at the opening of the public consultation on revised plans for coastal defences at Doonbeg new plans were displayed that did not include the previously proposed wall. With Donald Trump's Cincinnati speech renewing his commitment to his anti-globalization campaign position, it's worth noting that the next World Economic Forum in Davos -- where the Davoisie assemble -- will be taking place in the week leading up to his inauguration on 20 January. 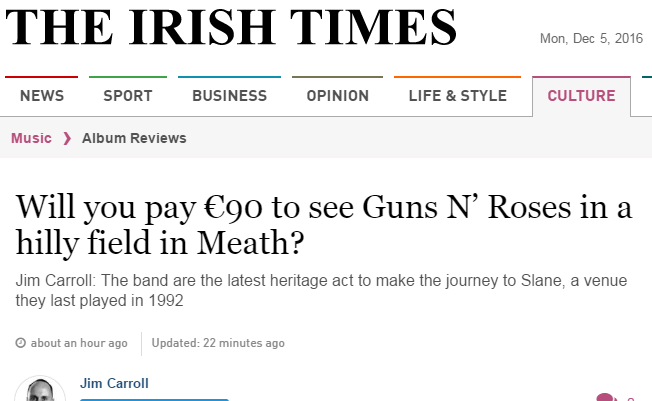 Around the time he was pumping money into Bank of Ireland, he once inquired of an Irish official whether Irish people would be more inclined to repay their mortgages because they were Catholic.